If you’re like many people, you had good intentions when you purchased your dental insurance policy. However, you might have continually found that you don’t get as much out of your plan as you had hoped. Why not make things different this year? Here are a few tips from a dentist in Mount Pleasant on how you can maximize your dental benefits in 2019. 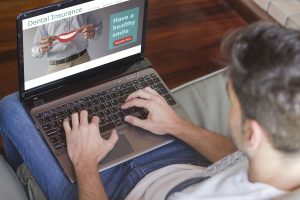 Lots of people view their dental insurance policy as a financial safety net in case something goes wrong with their oral health, but that’s a mistake. In fact, your policy has a strong focus on preventive care. You may be able to visit your dentist twice in each calendar year for a routine cleaning and exam at little or no out of pocket cost. By scheduling one checkup early in the year, you’ll make sure that you’ll have time to get both of your checkups in before your 2019 benefits expire. At these routine visits, you’ll receive valuable advice on how you can take better care of your teeth at home. If your dentist discovers a minor oral health problem, such as a small cavity or the first signs of gum disease, you can get it taken care of before it becomes a major — and expensive — issue. It’s a wise idea to familiarize yourself with the details of your insurance policy so you know how it applies to specific services. For example, you should know if there is a waiting period before your policy will cover fillings, crowns, or tooth replacement. If you know you need a certain treatment, you should find out what percentage of it your insurance will cover so you can plan your budget accordingly. You may also want to set aside funds in an FSA or HSA so when the time comes for significant dental work, you’ll already have money set aside that you can put toward your dental work. Many dental insurance plans are not like medical insurance; there is no “open enrollment” window that is your only annual opportunity to purchase a policy. If you haven’t been getting the most out of your dental insurance because your policy doesn’t fit your needs, you can start shopping around right now for a different plan that will serve you better in 2019. For example, if your plan does not cover dental implants but you are interested in undergoing this procedure to replace your missing teeth, you may be able to switch to a plan that will help you out. If you have already had dental insurance for several years, it is possible that your new insurance company will waive the waiting period so you can get the treatment you need as soon as possible. 2019 is still young. Start planning now to get the most out of your dental insurance policy this year! Dr. Robert C. Sikes is a general dentist who has been practicing since 1981. He is willing to accept payment from most insurance companies. To learn more about Dr. Sikes and discover how our team can help you maximize your dental coverage, contact us at 903-572-9720.